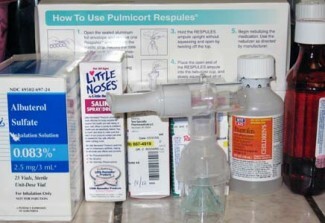 When we last left Pulmicort, the asthma medicine popular for children was about to become a generic after Israeli company Teva Pharmaceuticals got permission from the U.S. Food and Drug Administration to produce it. British patent holder AstraZeneca sued. In a span of a day, though, everything turned around and the American consumer wound up losing. Pulmicort is a classic example of what happens when big drug companies play “patent, patent, who’s got the patent.” It’s the very type of thing that the Federal Trade Commission and the state of California are suing over in federal court. A company such as Teva uses its own formula to come up with a generic version of a brand name. A brand-name manufacturer such as AstraZeneca sues to block the generic. The two companies decided to settle the dispute, usually with the generic manufacturer continuing production but tithing back to the original patent holder. The low-cost generic remains unavailable to American consumers. Exactly one day after receiving FDA approval, Teva agreed to pay AstraZeneca for the rights to sell Pulmicort. Teva also agreed to delay production of its version a year, until December 2009. A funny thing’s happened to the price of Pulmicort since. Last fall, it went for a shade over $300. This spring, full cost is $370. A cynical person would view that as an attempt by AstraZeneca to rake in even more cash before losing its exclusive deal at the end of the year. At least one insurance company, meanwhile, apparently quickly reprogramming its computers during the one day of lower-cost Pulmicort availability in the fall to make it mandatory for patients to purchase the generic. It’s spring now, and some insurers haven’t changed that. Which means consumers have a choice between paying $370 for the brand name – because the generic the computer calls for doesn’t exist – or going without. Unless they have a pharmacy willing to help them cut through the baloney. Those were the choices I was given at first Wednesday afternoon when I went to our pharmacy to pick up Big Guy’s medicine. We don’t use Pulimicort a lot – usually only in cases of bronchitis or wild fire-induced asthma attacks. But when we need it, we really need it. The insurance company says this is a mandatory generic, the pharmacy technician told me. Except I knew they’d find that generic about the same time fresh unicorn went on sale in the meat department. They checked with the manufacturer and confirmed that, then called the insurance company. The result: An hour later, I left with the medication and an $18 co-pay instead of the full $370. Would I have paid the $370? You bet – bronchitis has to be treated aggressively with asthmatics. Many other families would have paid, too. But probably at least as many wouldn’t have been able to afford it. Wisconsin Sen. Herb Kohl has introduced S 369, which would prohibit drug companies from cutting deals to keep generics off the market. The Senate Judiciary Committee has yet to take it up. This needs to addressed, if not for humanitarian reasons then because it’s a vital part of health care reform. And because not every patient is lucky enough to shop at a pharmacy that will help them fight the system. Prescription medication is such a huge industry, all the major players do anything they can to block others from taking their hard earned money. This includes blocking generic brands. It is these generic brands that make medication affordable to customers in the US. With the economy the way it is, generic medications are the only reasons some people are still able to afford their medications, which they need to survive. A complete overhaul of the pharmaceutical industry is definitely apparent, however until that happens, drugs will continue to be on overpriced monopoly of these companies.